We have known Jerry Ross since 1995 and have always admired his incredible creativity and knowledge. His work always seemed a cut above the rest. 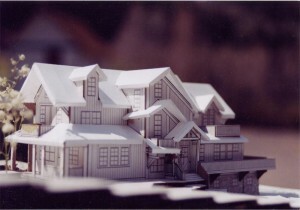 In the spring of 2003, my wife Janie and I decided to remodel our 1970’s residence, located in the Town of Telluride. We seriously researched every architectural firm in the region, all the way to Aspen! The choice was clear, and we embraced the opportunity to do a project with GR Design Group. Jerry listened to us and completely understood our needs, and designed the most magnificent home for us, investigating and thoroughly dealing with the governmental challenges that define building in Telluride. In fact, although almost unheard of, the experience I had with him taking our project through HARC was a pleasure—remarkable—completed in one visit! For an architect to keep us on track as well as he did was a great feat. With his uncanny sense of design, he created a blending of exterior and interior elements that fit the neighborhood and satisfied our needs for a most unique home at the same time.